It was a fantastic experience for us at the 2016 Colorado Health Care Association Fall Conference. The CHCA/CCAL and the Hotel Elegante in Colorado Springs put on an amazing Conference and Expo. We were so grateful to meet all of you that came by our booth and for the more than 150 people that entered this giveaway. 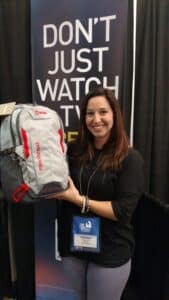 We want to congratulate Chelsea Alles, Resident Service Director at Fairacres Manor in Greeley, for being the winner of a Patagonia Backpack provided by SHOWTIME in our giveaway at the 2016 Colorado Health Care Association Fall Conference. We hope to see you all at the CHCA 2017 Spring Conference in April. We hope you got a chance to talk with Barry about television systems and the incredible Welcome Screen system for your Assisted Living, Long Term Care, Senior Living, or Healthcare facility at the CHCA Fall Conference. If you didn’t, its not too late. Reach out to us. Barry would love to show how we can help your facility give your guests a better TV experience with an investment that fits your budget. 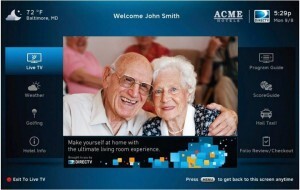 Since 1996, we have been helping assisted living and long term care patients feel at home with the groundbreaking, advanced hospitality technology that allows residents and patients enjoy the same TV experience they have at home while giving your facility the ability to provide a more robust, interactive resident experience without the additional, and often costly, hardware requirements. 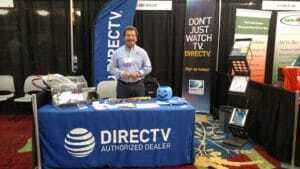 The COM2000 Pro:Idiom Headend System and the DIRECTV Residential Experience. Many facilities have taken advantage of integration with their current PMS system to provide customized content for their patients.